I would like your comments on the following please. As a social worker for South Gloucestershire council, I represent my colleagues and our passion/belief in what child protection teams across the country should strive to achieve. 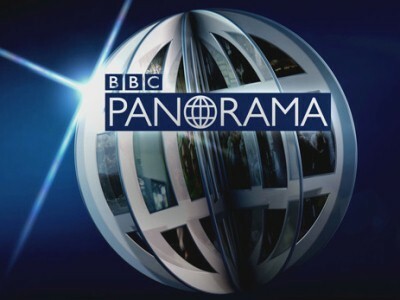 In your interview with Panorama, you advise that anyone who is being investigated unfairly should leave the country. If you had any insight into the profession of social work you would know that all parents who are being investigated for abusing their child, believe they are being treated unfairly. Therefore, I would like to know why, as a Member of Parliament in an influential position, you felt it the right thing to advise parents that they should not work with local authorities for the protection of vulnerable children? At a time when my profession is working tremendously hard to be more respected and promote our professionalism (following the Munro review), you have in one interview utterly undermined our work and purpose. Your response to my email will be greatly appreciated. I hope you will be able tell me why you made these comments on primetime national television and your thoughts behind doing so. Maybe he made that statement after meeting and talking with hundreds of parents like myself where you got it wrong. I believed I would be treated fairly, until I was face to face with some of your colleagues who most definitely did not treat me fairly. To the point that a ward sister commented on their attitude and behaviour toward me. I appreciate that there are children who are abused but there are equally children who have underlying, undiagnosed medical conditions who are being denied the correct medical intervention because no one follows the correct guidance and procedure and because everyone is afraid to make a mistake. The referring paediatricians should be taking ownership of that referral and making sure that ALL the correct information is handed over at the referral, including the fact that it is ‘suspected’ not proven and that they haven’t ruled out all medical possibilities. Social services and the police need to stop assuming that the medical professionals have ruled out all medical alternatives because they just don’t do it and the majority of them have no idea as to the steamroller effect they are creating. Having been told personally by a lead paediatrician of child protection that he couldn’t list the signs and symptoms of osteogenesis imperfect after 30+ years practice, it leaves me with very little faith in our NHS and the people they have placed at the helm of child protection. I wonder how many children he has sent to foster care due to his ignorance of diagnostic features of certain conditions that can cause bone fragility. This paediatrician made a child protection referral without ever having examined or laid eyes on the child concerned. Yes, really. The whole child protection system needs a complete reorganisation. Social services need to be held accountable for their decisions and actions and not be allowed to audit themselves. Paediatricians need to take ownership. I fully agree with Esther’s question. The programme did raise some serious questions about certain cases around medical interpretation of evidence. I felt that those parents did themselves a credit in progressing their arguments with the help of the programme makers. There may be indeed miscarriages of justice in any form of intervention, and the system needs advocates to challenge it. I was upset to read that Michael Mansfield’s chambers were closing because the legal aid rules have changed and they can no longer fight miscarriages of justice. For me this is appalling because there need to be advocates for people to address miscarriages. However I too was shocked regarding John Hemming’s assertion that you cannot get justice from the system in this country and that families should move abroad to escape this. This goes beyond advocacy to a dangerous abuse of his position. My experience is that cases are rarely about single injuries and far more about chronic well-documented abuse and neglect at the hands of parents and these are the people he is encouraging to flee the country with their children. It is a truly amazing, potentially dangerous position for an elected offical to take. This man has a long history of undermining social work. I believe I recall reading in the past that Mr Hemming had propogated a myth along the lines that social workers receive bonuses for removing white British babies to be adopted by middle class white people. I would just say to Esther that perhaps the question should have been directed to Nick Clegg, because surely he has a responsibility to publically censure such an outrageous undermining of our protection services. Or is it the view of the Liberal Democrat party? Well done Esther! At last, someone has responded to the ongoing buffoonery and frankly bizarre and dangerous views of this influential MoP and in so doing, stood up for our profession and the children we aim to protect. I feel ashamed that I did not write this letter myself. I feel ashamed that not enough of us are standing up for ourselves and defending our professional values, promoting our hard work and beliefs. John Hemming is not safe to hold the position he does and should be made to apologise or better still, to stand down, as so many social workers have to do when their practice is deemed unsafe. I look forward to seeing his response to your letter Esther. Well done again and thank you for sharing this. One of the key arguments against privitisation of social work services given in the literature is that only public services have democratic oversight and control by citizens. However, whenever Politicians or the media scrutinize or criticise social work the most common response of the profession is to go on the defensive. Hemmings was reckless to suggest that people should leave the country but putting that aside he is just voicing an opinion that some citizens are being treated unfairly. I am sure this a sincerely held belief. If his views have no basis then they will not withstand public debate or scrutiny. If one the other hand he is correct that the system is unfairly weighted against parents then this will have to be addressed or it will ultimately undermine public confidence. Just as policing can only occur with a degree of public consent, so too child protection requires the support and co-operation of communities . This support will not be there is the system is considered unfair, unaccountable or secretive. Professor May-Chahal on the College of Social Work web site wrote a very positive piece about the need for the family justice system to give more weight to social work opinions rather than just relying on medical opinion. For this to happen we need a much more open Family Courts system where the public are informed about the decisions which are made and why they have been made. This will ensure greater public confidence in the social work profession and child protection procedures and greater fairness for citizens. If the public are going to support greater risk taking, as Professor May- Chahal suggests then they will have to hear and understand the arguments. Child protection work is a statutory function set out in legislation. Legislation is created by government. There has been more than one policital party in power since the Children Act 1989 was passed and amendments have been made. Is Mr Hemmings speaking for his party when he is effectively saying that the legislation is wrong? Well said Esther, maybe you/we could ask Nick Clegg’s office for a response ? Mr. Hemming specialises in cheap one line comments. Does he represent the Lib Dem view of Child Welfare policy ? Sadly I think there are occasions when parents are treated unfairly and there is a rush to judgement. With the decimation of preventative services and rising thresholds for intervention too often families are entering the system at the child protection level where there is already a presumption that things are desperate and quite probably beyond change. The PLO process is too often a fast track to proceedings where the emphasis is on the gathering of evidence rather than change. Once in proceedings of course it is all about assessment and further evidence. It absolutely astounds me the level of hostility towards Social Services. In “I want my baby back”, the Social Workers were in fact acting upon medical opinion that children had been violently assaulted and abused. I would ask the public whether they would want an authority to leave children with families in light of such damning medical evidence?! In addition, there had been a confession or the father assaulting a child. Personally I don’t think any Social Worker worth there salt, would have left a child in such circumstances. Perhaps people should be hoping to raise medical awareness around these conditions and encouraging medical professionals to be accountable in such instances? Why is all venom directed towards Social Services? This is Trial by Media, who only present minimal information. Social Workers have a duty of care and spect confidentiality of families, and as such do not put counter-evidence forward. The majority of Social Workers I have met, I have nothing but respect for, because they continue to be dedicated to helping families, despite constantly living in a culture of blame and presumed incompetence. Comments that are uninformed and ignorant, with no basis in understanding, like John Hemming, do nothing but undermine professional practice, and actually makes safeguarding children a thousand times harder. I watched the Panorama programme, which Esther Clarke refers to in her letter to John Hemming MP and was appaulled at the irresponsible ‘advice’ he gave to parents. I admit, as a Social Worker, the parents all came across as articulate, caring and on the surface appeared ‘wronged’ by the actions taken by professionals who were ‘protecting’ children – but the programme was not balanced. What the programme should or could have done was expose the very real dilemma’s that exist in protecting children. These dilemma’s exist for Doctors, Social Workers, Police, the courts and policy makers. The Government is urging Local Authoriites to increase the numbers of children adopted and at the earliest opportunity. The courts are granting orders in favour of parents. social Workers are caught in the middle. Doctors who are prepared to give their opinion on matters relating to injuries to children is dwindling & Social Workers are leaving the profession in their droves. This programme did nothing to protect children or give an insight into the difficulties. It was dangerous and irresponsible. As a child protection social worker who worked with just such a family who was advised to flee the country by this same MP, I find his advice incomprehensible. His advice did not result in an improvement to this child’s life chances, in fact he was caused further unnecessary trauma. He made his “recommendations” on the basis of the mothers skewed and fabricated account of what had occurred and quite frankly the man should be absolutely ashamed of his actions and comments. One can only wonder how he was elected to his constituency. Certainly, there are some parents who have abused their children and still think that they are being treated unfairly, which could be because they are minimising or denying their role in their children’s abuse, or it could be representative of a disproportionate response to an incident which is in fact treating them unfairly. There are also a good number of parents who recognise that they have harmed their children and, whilst they don’t like the intervention they are in receipt of, understand why it is happening. There are also a smaller number of parents who are absolutely right, in that they are being unfairly treated by the Local Authority within assessments into the care of their children. Now that, in no way, means there should be any credence given to the suggestion of Mr Hemming MP, to run away – an utterly bizarre and dangerous suggestion for an MP to be making – however, painting all parents involved with Local Authorities as guilty, minimising liars is equally unhelpful to our profession. You are right to call out John Hemming for his ridiculous statements, but you might want to be a little more respectful about parents despite a need to robustly challenge the information they present. In reply to Ester’s comment, I can say that I am a parent who has experienced just how badly social workers can get it wrong. In my case that failure almost cost my child’s life last year and believe me the situation we now face will take several years to rectify. I have read a lot of comments from social workers since the Panorama programme, but not a single one has stated the obvious I am afraid. The programme featured a couple whose child was taken into care because it was always ill and therefore abuse was suspected. However, it proved to be the case that the child’s illness continued well after the child entered care and so the authorities had to eventually admit they got it wrong. It is a sad fact that not one of the comments I have seen from social workers has mentioned that particular case. In our case we had a social worker who was severely criticised by the HCPC, an independent complaint investigation, an independent social worker and the local authority apologised in writing for their conduct. Yet even today this individual is still working. We had another social worker who was sent to work with us less than a month after they qualified, we were not told that, and they were not supervised. The result was a disaster and the worker was removed from the case after a few weeks. In the case of our child we gave the social workers clear warnings about the outcome of their lack of action, and we provided them with evidence, but they refused to listen. The outcome we predicted occurred and now we as a family have to rectify the dreadful mess they left behind. John Hemming was not trying to undermine anyone, he was simply highlighting the fact that things are going terribly wrong in children’s social care in the UK. I can tell you that from personal experience he is right, and I also know of dozens of such cases even locally where similar things have happened. I am afraid that social workers need to face reality, they have to put their own house in order before the government has to do it for them. I also felt it was a failing in the program that all the cases included very young babies with in at least one case multiple fractures but there was no suggestion of any other viable course of action that social workers and doctors and the courts could have taken other than to test the vitamin D levels (which yes if thats an issue then doctors should be doing it) I can just imagine the headlines if it came out that babies who had been found to have several fractures with unknown causes were being left in the care of their parents. I would dearly love an MP to try to change the system, by giving full facts and figures rather than scaremongering. Why is this MP not able to provide alternatives to his accusations? I have seen much about his ‘advice’ over the years which leads myself and many professionals in various fields to believe he doesn’t really understand the system at a basic level and should not be taken at face value. Sadly he is an MP, which seems to hold far too much sway in the press. I believe tat it is the other way around and MP’s should be careful to get evidence before making assertions which damage and undermine public opinion. Will he be held to account if abusers now decide to slip out of the country and are later charged, on his advice? I understand some unsavoury characters that are in league with him paid £30k to various families to do just as he has advised. How can anyone condone this? What is the Liberal Democrat view on his re-occurring outbursts that suggest that the country he runs with colleagues cannot give a fair trial? If they agree, why and what can be done to change the situation? Why are the media swallowing everything sensationalist one man says without challenge? Sadly it can never be an ‘either’ ‘or’ debate and those who correctly refer to injustices are as correct as those are unhappy when social workers and other disciplines – and ultimately the Courts – get it right. In The Panorama Programme Sarah and Paul Ashley’s child experienced 4 moves of foster-care never mind him saying at Contact that “I’m sorry mummy” – now imagine the potential psychological harm that alone has done – no wonder Attachment difficulties are seen in many young people who have had multiple placements and where they may feel that they are also in some way responsible themselves. Anthony Douglas, the CEO of CAFCASS interestingly stated that he has a “zero tolerance” to child abuse – Oh that we could live in such a clear-cut world. Social work has always been about risk-taking – it has to be but we must always forensically and questioningly collate, assess and analyse all the evidence and arrive at a balanced conclusion – we also need to work closely with all our partner Agencies and, of course, family, extended family and other significant family contacts. Fortunately Amy Howell (the Bristol Case) was able to demonstrate that her son had a disagnosable medical condition and she has had another little boy having got Harrison back – she could so easily have lost her son to adoption. So whilst Mr Hemming may refer to some of the more extreme and high profile Cases he raises important issues which we have to take on board and ensure that the speedy path to adoption does not result in avoidable errors of assesment and justice on the way and that supportive / preventive resources are available to try to maintain the birth relationships which most of us know are so important. @John (above) makes a balanced and fair response. Parents do expect that they will be dealt with with fairness and compassion but we must never close our eyes to the facts and sometimes have to admit that we are often not facing with facts which are 100% beyond dispute. That is why only the most skilled and experienced practitioners should be undertaking this extremely difficult and sensitive area of work. In response to Philip Measures, I think his summary is remarkably accurate when compared to my own experiences. From my own experiences there is a need for social workers to work forensically and consider all available evidence, but I don’t know whether their current training is suitable to equip them to be able to do so. The ones I worked be seemed incapable of so doing. As a scientist myself I can tell you that one of the hardest things to do is to collect and objectively evaluate evidence without allowing your own opinion to dominate the message being spoken by that evidence. The social workers I described above made that very mistake in a big way, they refused to accept the obvious in favour of their own opinion. If you do that, especially if you are unable or unwilling to change your opinion, then you are in trouble. Child abuse is a massively emotive subject, but social workers need to remember that it most certainly is not the only cause of a presenting issue with a child, far from it. After the programme I saw a statement from one social worker on social media who actually said that a few injustices against parents were a small price to pay for preventing child abuse. Think about that statement for a moment. If an injustice of that nature has occurred, that would indicate that in actual fact there was no abuse. I also read statements on social media from social workers who claimed Hemming was encouraging people to break the law by leaving the country. Yet I watched the same programme, and he was absolutely clear on his message on that point. He said individuals should only consider that option if it was legal to do so. Look at the evidence and understand it, don’t just form an opinion and stick blindly to it. This is why I said above that social workers need to look long and hard at themselves, and how they are working.